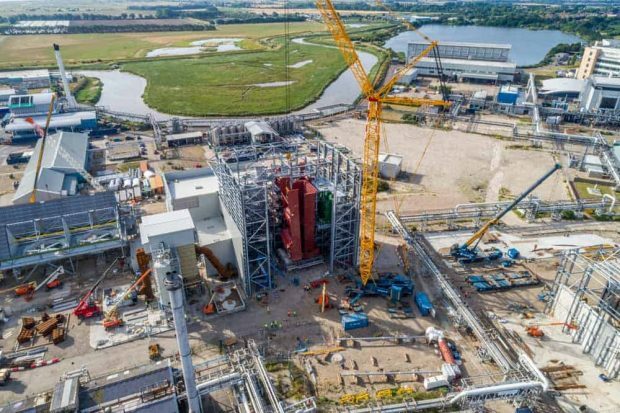 A new £160m Biomass Plant in Discovery Park near Sandwich has been officially opened. The power plant generates 27MW of renewable electricity using locally sourced wood as fuel, which is the equivalent of supplying 50,000 homes and saving over 100,000 tons of CO2 every year. The plant provides heat and power to the Discovery Park with the excess being exported to the local electricity grid. Construction of the plant began in the summer of 2016. This included the wood reception and handling facilities, wood storage barn and the fuel crane that mixes the wood and places it on the conveyor ready to go to the boiler. The boiler was assembled during the summer of 2017, with the turbine and generator lifted in to place and aligned. On 18th December 2017, the site was made live for the first time by importing power from the grid through the main transformer. The commissioning process for the power plant was then started. The log stores started receiving wood on January 3. Commissioning took place in two phases, cold and then hot commissioning. Cold commissioning began at the end of 2017; the internal tubes were cleaned to remove any dirt, by flushing them through with warm acid. The boiler was then started up with oil rather than wood for the steam blowing tests. The final pressure tests took place mid-February and early March before workers then filled the boiler with water ready to begin generating heat and power. The development created 400 full time jobs during the construction phase and plans for 30 permanent jobs to be established at the site for the plant’s lifetime of 20 years. 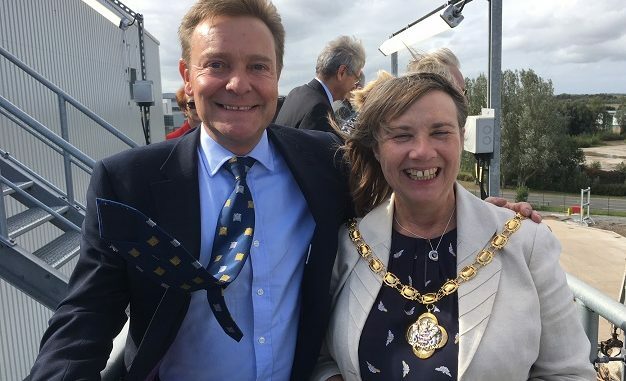 On Friday it was officially opened by Cllr Sue Chandler, Chairman of Dover District Council, alongside South Thanet MP, Craig Mackinlay and Veronica Liote, Mayor of Sandwich and members of Sandwich Town Council. 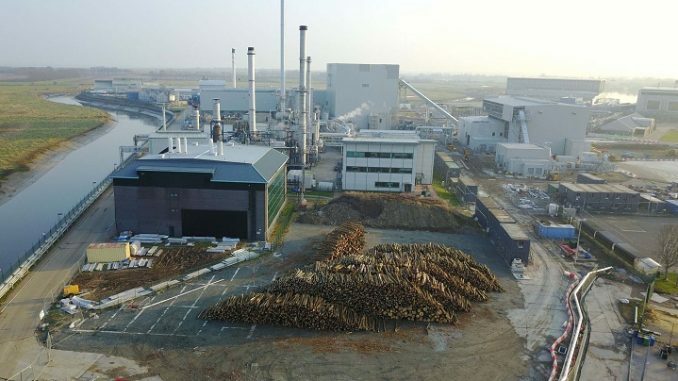 Mr Mackinlay said: ““I cannot stress enough how important and beneficial this Biomass Plant will be, not just for my South Thanet constituency, but for the whole of East Kent, thanks to the investment. Kent Renewable Energy Ltd is majority owned by Copenhagen Infrastructure Partners K/S (CIP), a Danish infrastructure fund which specialises in the development of and investment in, renewable energies. The plant was developed by Estover Energy Ltd. and built by Burmeister & Wain Scandinavian Contractor A/S (BWSC) who will also operate and maintain it.